Strange mix of a radio and an organ. You can change the mix-ratio between organ and radio. 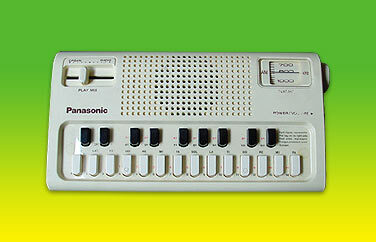 Cute PANASONIC design and very similar to the PANASONIC Do-Re-Mi phonoplayer-organ.